Servicemen who are too big for their equipment sounds like an American problem. But as China catches up to, or beats, the U.S. in certain stats, they also face problems faced here. 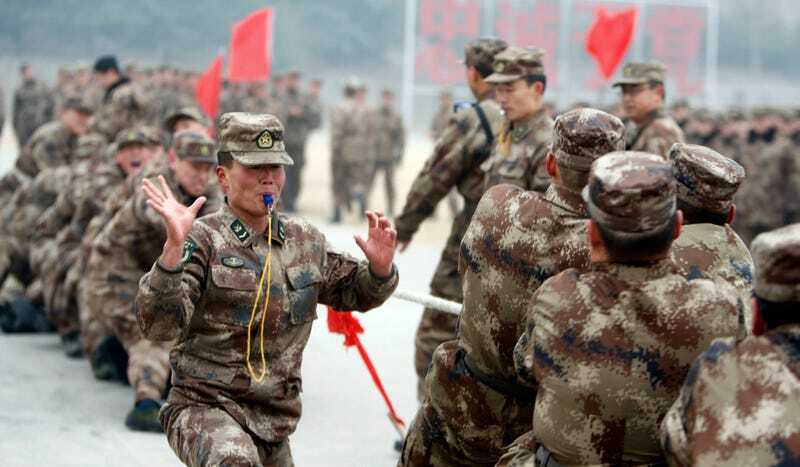 According to The Washington Post, a recent study of the People's Liberation Army revealed many soldiers are "too big and too fat" for some pieces of equipment in use. This includes people driving tanks who can no longer fit in them. The report revealed that people serving in military forces have an average waistline that's 5 centimeters larger than 20 years ago. Apparently, though, this is because more people are getting good nutrition in China, not because they have an obesity epidemic like the U.S. But hey, they're still too big, so Americans can think about that.